Sam Allardyce has been exposed by a team of Investigators from the Daily Telegraph, after he “used his position as England manager to negotiate a £400,000 deal, and offered advice to businessmen on how to ‘get around’ FA rules on player transfers”. Allardyce reportedly held a meeting with Investigators from the Telegraph, who were masquerading as businessmen representing a Far-East firm looking to profit from the billion-pound transfer market of the Premier League. The investigators have been conducting a 10-month inspection that revealed evidence of bribery and corruption in British Football. As a part of the investigation, a meeting was set up with the England manager, , who at the time was still yet to have his first training session after being appointed. In the meeting, Allardyce was secretly filmed, and video evidence showed some shocking revelations. The 61-year-old agreed to travel to Hong Kong and Singapore as an ambassador to discuss with the ‘businessmen’ about how they could get around the FA’s rules that prohibit a third party ownership of a player. Allardyce revealed that he knew several agents who “did it all the time,” and claimed that avoiding the “ridiculous rules” wasn’t a problem. Third-party ownership refers to companies being allowed to own a stake in a footballer, and has been branded as slavery. The FA banned such ownership in 2008, and FIFA joined the party in 2015, by also deciding to put a stop to third-party ownership. If sacked, Sam Allardyce would maintain a 100% win rate as England manager. 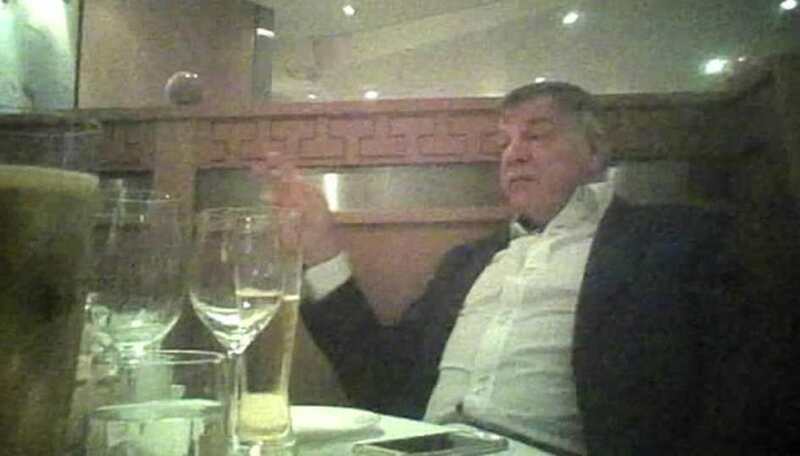 However, Allardyce agreed to meet with these so-called businessmen to discuss how to get around the issue, and revealed that West Ham player Enner Valencia was under third-party ownership when he signed for the club under Allardyce in 2014. During the interview, Allardyce was also seen insulting his predecessor Roy Hodgson and his team. He imitated Hodgson, referring to him as “Woy”, saying the manager was too indecisive in England’s defeat to Iceland at the Euros, and accused Gary Neville of being a wrong influence. The Telegraph have now decided to reveal all of what Allaryce told them, and will be bringing more information regarding the subject to light in the upcoming days.